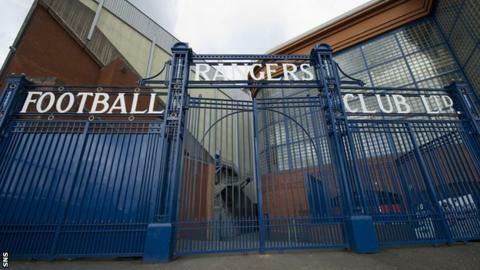 Rangers' liquidators insist the club will continue to play at Ibrox. Malcolm Cohen and James Stephen from financial company BDO have been appointed as Joint Liquidators. A CVA proposal from a consortium led by Charles Green was rejected by HMRC forcing the club into liquidation. The liquidators will seek to protect any remaining assets, maximise recoveries for the benefit of creditors, and investigate the reasons behind the failure of the company. "It's important to understand that the appointment of liquidators will not mean the end of football at Ibrox - only the end of the company that ran the club," said Cohen. "The liquidators will seek to protect any remaining assets, maximise recoveries for the benefit of creditors and investigate the reasons behind the failure of the company." Administrators Duff & Phelps plan to transfer the business to a 'newco' set up by Green in the next few days. Cohen continued: "Once this is done, BDO will determine what can be recovered from the remains of the existing company. "It is right that there is a full and robust investigation into why the company failed, together with concerted efforts to recover monies for creditors and the taxpayer. "This may include pursuit of possible claims against those responsible for the financial affairs of the company in previous years." Green's consortium have continued discussions with the Scottish football authorities with the SPL holding a board meeting on Monday where issues at Rangers are expected to figure high on the agenda. "We are still negotiating with the SFA and SPL to reach an amicable conclusion to the benefit of Scottish football," said Green. "We need to carry on talking sensibly and get something that works for everyone."